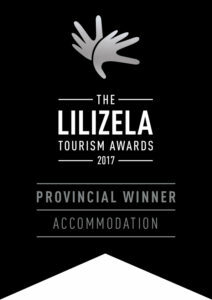 We have some wonderful news to share with you: Bushbaby River Lodge is the Provincial Winners of the 2017 Lilizela Awards. The Lilizela Awards are an initiative of the Tourism Grading Council of South Africa, honoring the best in business. And we have been chosen as best 4* B&B in Limpopo! On 29 October next we will hear if we stand a chance to win the national award. Fingers crossed! Previous Post Safari – where to go? Next Post Is it Christmas already?